“This one was a lot of work. 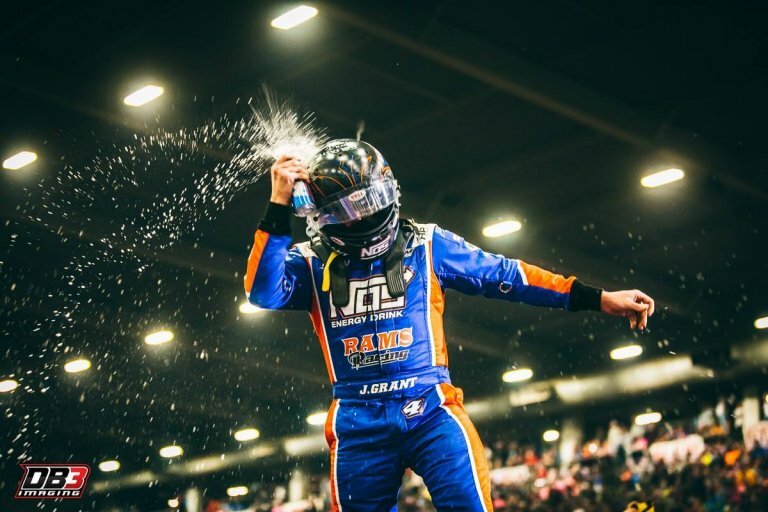 You know I’ve been really fortunate to win some decent races and most of them have been showing up and walking in at three o’clock in the afternoon with my helmet bag and jumping in the car and just doing that and going home,” commented Grant of his victory for RAMS Racing. “This one’s been … it started with a truck, trailer, and a credit card. And a lot of 12-, 14-hour days leading up to this, a ton of work. It just very validating that we could pull off a win. Those guys believed in me probably more than I did myself. But it’s like a bit of a weight lifted off … I can do that part of it too. 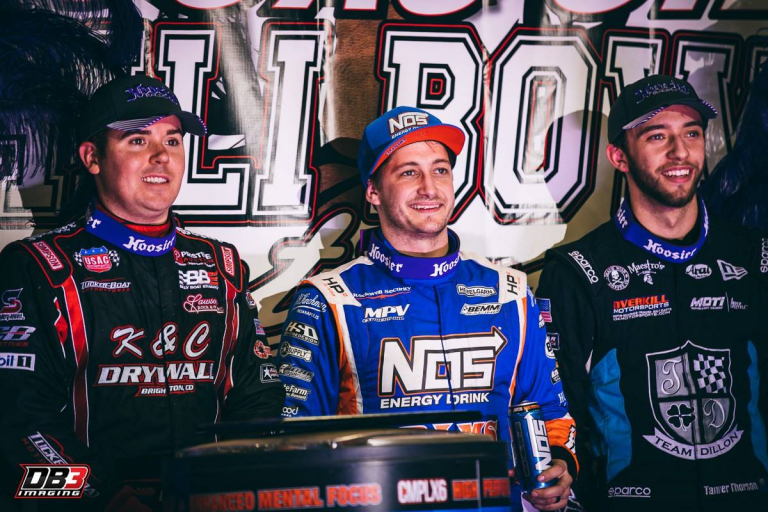 Hopefully, we can keep it up,” the Chili Bowl preliminary winner stated.